A dental implant is one of the most common dental procedures. It is an artificial or synthetic tooth root. 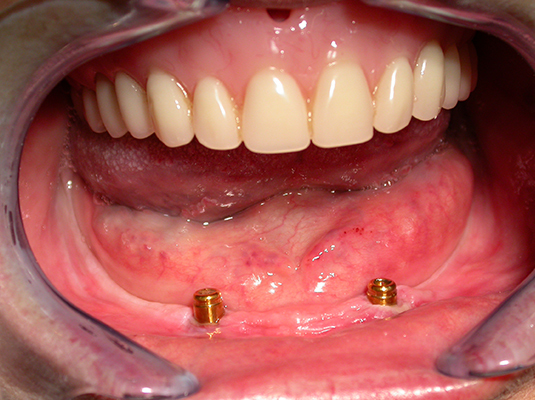 Dental implants need to be surgically anchored into your jaw to hold the replacement tooth or dental bridge in place. They’re permanent and stable. They’re also perfect for resolving tooth loss problems. Dental implants are one of the most important advances in dentistry because they look and feel like natural teeth. 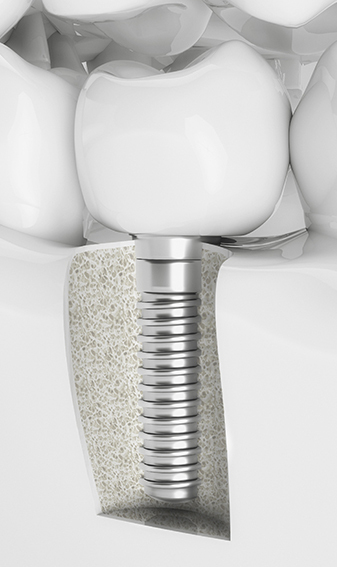 Most dental implants are made from metallic ceramic and bone-like materials completely compatible with the body tissue. These days, you can choose from a lot of different types of implants. Root form implants are quite common, and look like your natural tooth root. A custom-made metal frame work is another popular choice to fit on your existing bone. Dental implants allow for the replacement of a missing tooth without having to modify adjacent teeth. 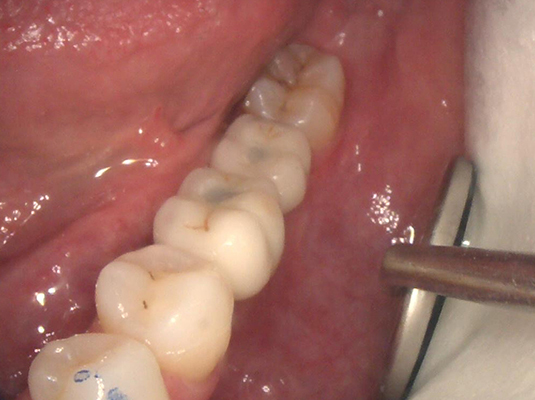 They are carefully placed to support your cemented bridges. Due to this, the patient does not need a denture. Although implants cost a bit more than dentures, they aren’t painful or uncomfortable like many dentures are and look just like your natural teeth. Thus, implants are the preferred treatment for many people. Before performing the procedure, we check you’re in good health and suitable for an implant procedure. You need to have healthy gums and proper bone structure to ensure the implants will always remain in place. 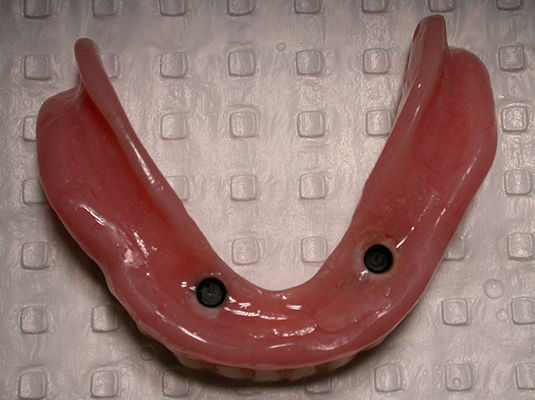 If you have had problems wearing dentures, then implants could be the perfect solution for you. However, if you are suffering from a chronic medical problem such as clenching, bruxism or diabetes, you may not be suitable for dental implants. A dental implant involves three visits over a three month period. In which time, there is minimal discomfort associated with the procedures. We make a first examination and take one or more x-rays of the area to prepare for the first procedure. The first surgery generally takes about 60 minutes to complete. After 10 days the stitches are removed and the implant is then given a further two to three months to heal. During this time, bone grows into the implant surface to secure it. The second stage of the surgery is very simple and lasts about 30 minutes. 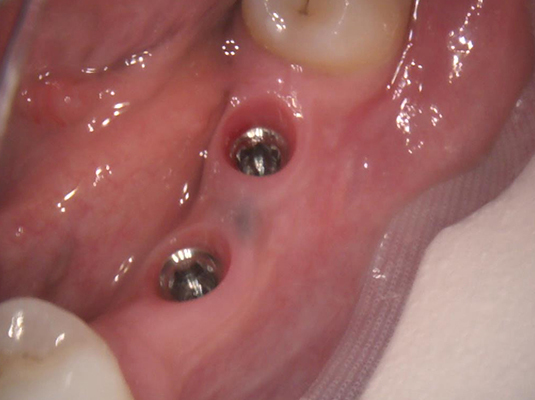 A post is attached to the implant until the final prosthesis is complete. This normally takes as little as 2 weeks. You should expect the new tooth to fit and function just like a natural tooth. You must continue with your usual dental hygiene to keep the tooth and surrounding gums clean and healthy.